This 25" x 45" A-frame sidewalk sign with custom full color digital poster panels, by Signicade is a direct descendent of the roadside sign frames used by road crews all over the world working in adverse weather conditions. You can fill the body cavity with over 10 lbs of sand for ballast to withstand windy conditions! 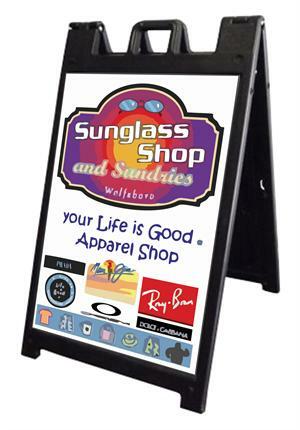 This A-Frame Comes with two 24" x 36" custom full color digital poster panels.